Excludes tax, title, license, options, and dealers options. Your payment may vary based on final negotiated price. At lease end, lessee responsible for disposition fee of $395. $0.20/mile over 24,375 miles and excessive wear and use. On approved credit highly qualified customers by Volkswagen Credit. Excludes tax, license, dmv, and dealer options. lessee responsible for disposition fee of $395 at lease term. $.20 over mileage charge. total mileage for lease 24,375. on approved credit to highly qualified customers by Volkswagen Credit. $5000 off MSRP on any new VW in-stock. *All Active Duty U.S. Military (Army, Navy, Air Force Marines, National Guard, Coast Guard, and Active Reserve), Active First Responders (Police Officer, Sheriff/ Sheriff’s Deputy, Correctional Officer , State Trooper, Federal Enforcement Officer, Firefighter, EMT, Paramedics, 911 Dispatcher/Operator). See dealer for details. 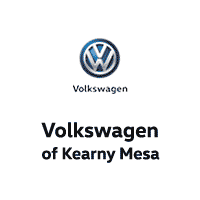 Volkswagen of Kearny Mesa invites you to visit our fantastic VW dealership in San Diego, CA. Our knowledgeable team members are ready to provide you with the some of the best Volkswagen sales, service, parts, and accessories in the San Diego area. At Volkswagen of Kearny Mesa we strive to achieve one goal, customer satisfaction. We do this by providing quality automobiles at affordable prices while making sure our customers are never left unsatisfied. At Volkswagen of Kearny Mesa we have a great staff that will be able to assist you with all of your car buying needs, whether it is locating the right vehicle, obtaining financing, or anything in-between. If you happen to be looking for a new or used Volkswagen vehicle around Escondido, Carlsbad, Chula Vista or Tijuana, stop by and we will do whatever we can to get you into the car you have always dreamed of driving. Any questions? Feel free to give us a call at the number above and we will do our best to serve you. Volkswagen is bringing a lot of exciting new Volkswagen vehicles to our showroom floors, including the all-new Volkswagen Atlas. Come explore your favorite model’s fresh new look, enhanced comfort and convenience, and updated safety features today at 8040 Balboa Avenue San Diego, CA. Serving Escondido, Carlsbad, Chula Vista and Tijuana, we’re happy to share complete specs, compare models (including the Jetta, Passat, e-Golf, Beetle, and Golf GTI) and arrange test drives. Not in the market for a new car? View our entire used car inventory online. Or, for a more intimate pre-owned vehicle buying experience, visit Volkswagen of Kearny Mesa in person at 8040 Balboa Avenue San Diego, CA. Once you find the new or used car in San Diego you’ve always wanted, Volkswagen of Kearny Mesa can help with the auto financing. We can get you the car loan in San Diego that fits your budget. We have an expert car finance staff to help you acquire the new Volkswagen lease or auto loan in San Diego today. If you’re worried about your credit, let us do what we can to get you the San Diego car loan and auto financing that makes sense for you. When you take your Volkswagen to Volkswagen of Kearny Mesa in San Diego, California for auto service, you can rest assured knowing your vehicle is in the hands of highly-skilled technicians. Working with Volkswagen autos every day isn’t just what our auto service and VW repair team does. It isn’t just something we’re good at. It’s our love…which means we have as much invested in maintaining, and when necessary repairing, your car as you do. And, if you decide you want to do it yourself, we’ll happily provide you with any manufacturer certified VW parts you might need – from oil filers to batteries to tires. Among the many services Volkswagen of Kearny Mesa routinely performs are wheel repairs, auto glass repairs, muffler repairs, transmission repairs, tire rotations, oil changes, belt inspections and more. When you have Volkswagen of Kearny Mesa on your side, finding and owning a new or used Volkswagen becomes easier and more enjoyable. Take your time and browse our site. You’ll find a wide range of info, from up-to-date inventories to online appointment scheduling forms and everything in between. 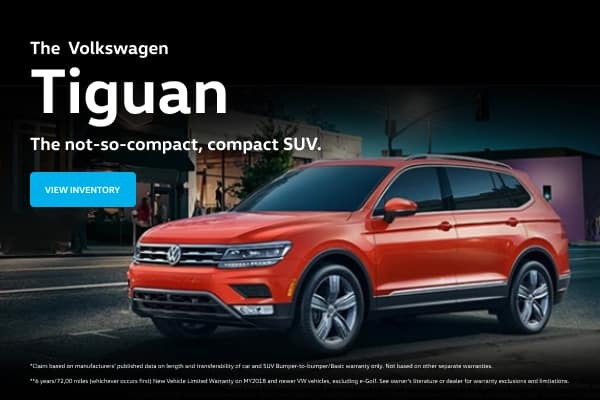 We look forward to seeing you here at 8040 Balboa Avenue San Diego, CA in the near future or call (888) 531-3028 today for Volkswagen pricing, availability, service, parts, accessories and more!